I had a chance to try out our new stainless steel kitchen appliances tonight, and they are amazing! The dishwasher is being run right now, and I can't even hear it! Anyways, we went to Costco today, and they had some great looking sockeye salmon, meaning I was in charge of dinner! I'm not a big seafood person, but I am warming up to it. I love smoked salmon, but I'm not too big of a fan of just grilled or cooked salmon. But, I loved this recipe! It was sweet and citrusy, and had kind of a crispy crust on it. 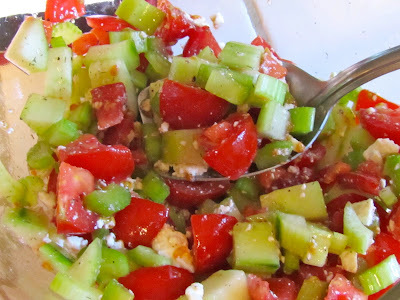 So, here's what I made, and I threw together a simple vegetable salad on the side. Position a rack in the oven 3-5 inches from the broiler. (I moved the salmon down a rack half way through because the sugar was starting to burn.) 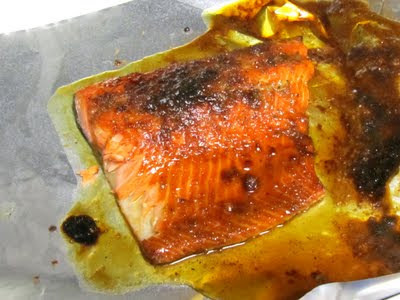 Line a half sheet pan with aluminum foil and place the salmon on the pan. Place the sugar, zest, salt, and pepper into the bowl of a small food processor and process for 1 minute or until well combined. 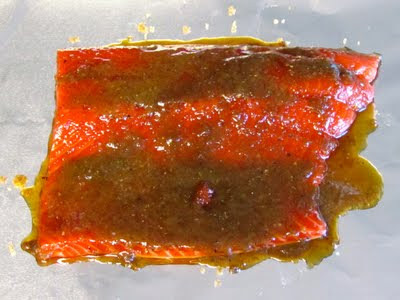 Evenly spread the mixture onto the salmon and allow to sit for 45 minutes, at room temperature. Turn the oven on to the high broiler setting for 2 minutes. 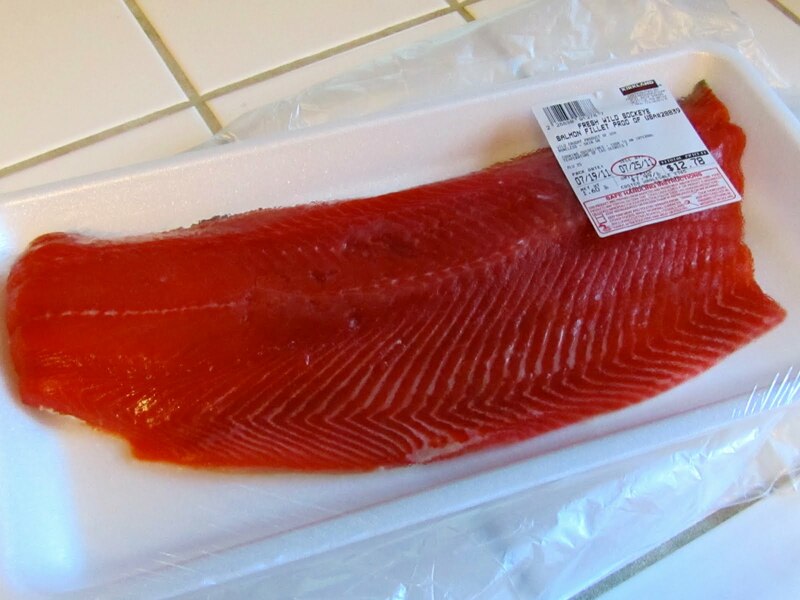 After 2 minutes, place the salmon into the oven and broil for 6 to 8 minutes or until the thickest part of the fish reaches an internal temperature of 131 degrees F on an instant-read thermometer. Remove the salmon from the oven and allow to rest, uncovered, for 8 to 10 minutes. Serve immediately. The salad was just a mixture of cucumber, tomatoes, celery, feta cheese, lemon juice, salt and pepper.